No experience? If you’re not 100 % sure that you can climb or that 4 hrs is too long for you then Try climbing is an perfect opportunity to climb for 2 hrs to learn the basics and the feeling of rock climbing. What does top rope mean? In top rope climbing the rope has already been set up by the guide, from the top. The guide will thigh one side of the rope to your harness before you climb, the other side will be secured by the guide. The guide will guide you the way to climb up to the top. 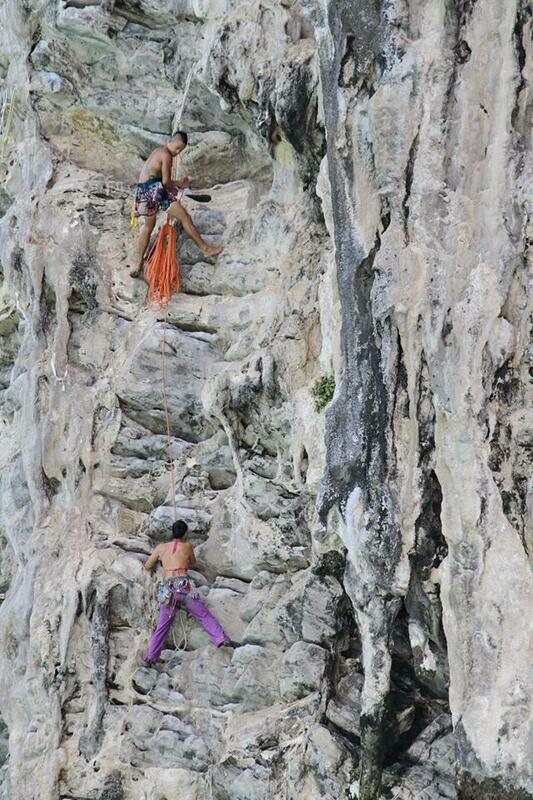 You will learn the basic skills of rock climbing. – Half day (09.30-12.30 / 13.30-17.30) 1,000 THB includes:fruit,water,gear. – Full day (09.30 – 17.30) 2,000 THB includes: fruit,water,gear,food. This course will train your leading skills and confidence. Learn how to account for the additional risks in lead climbing and how to set a strategy for leading a climb. Includes: Water, Food with break, Fruit,Gear. 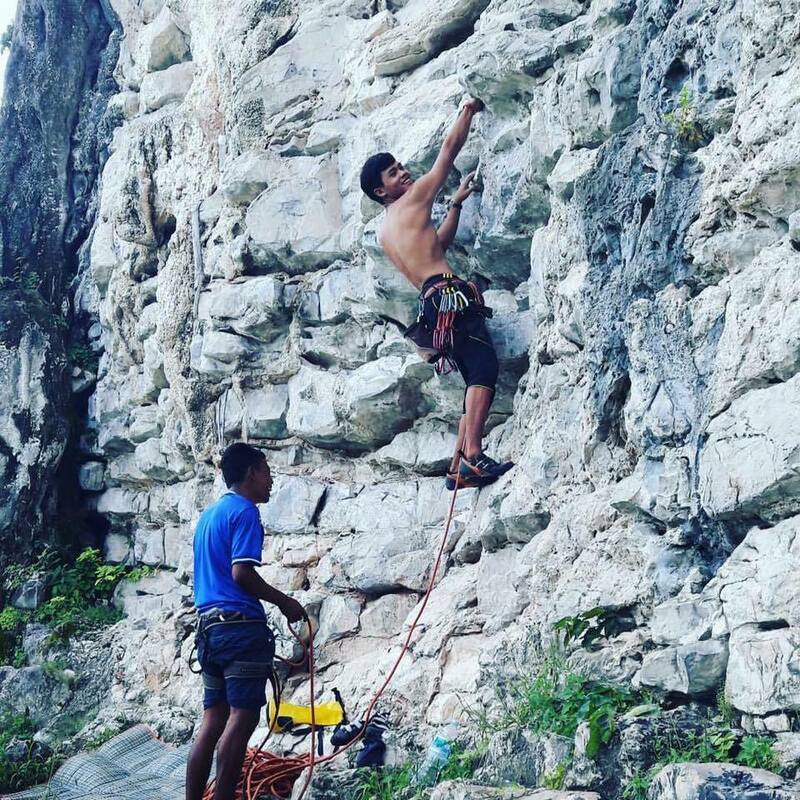 If you’re interested in sport climbing, this course will show you the basics and the difficulties in rock climbing, learn the different sections and elements etc lead climbing, lead belaying, top rope belaying and how to use all the gear for rock climbing, like a true rock climber! 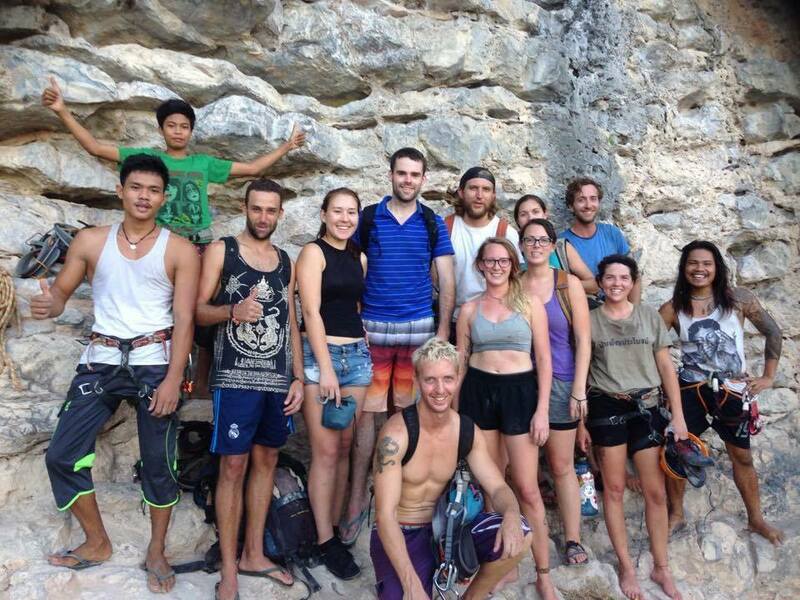 – 3 day Climbing Course (09.30-17.30) 5500 THB Includes: Water, Fruit, Food with break, Gear.